These Irish baby shamrock earrings have been hallmarked sterling silver by the Irish Assay Office at Dublin Castle in Ireland. 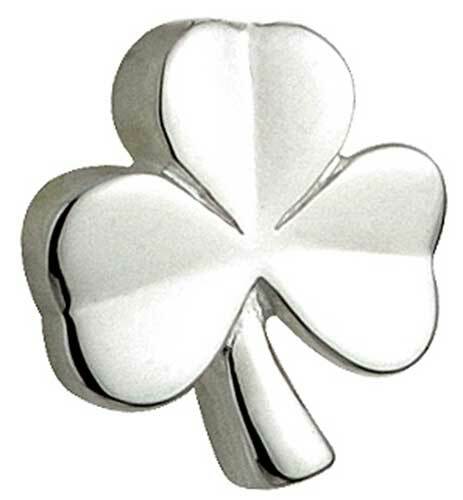 These Irish baby's shamrock earrings are cast in sterling silver and feature a classic design. 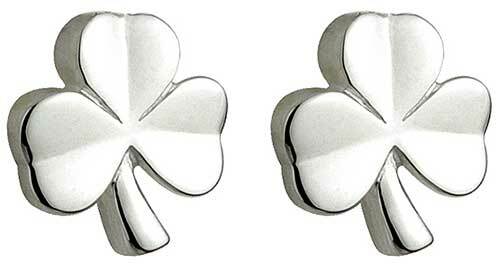 The child size shamrock stud earrings measures 1/4” wide x 1/4” tall, and are post style with push on butterfly backs. These child's size Irish earrings are part of the Little Fáilte Collection from Solvar Jewelry in Dublin, Ireland and they are gift boxed with a shamrock history card, complements of The Irish Gift House. Irish baby necklace features a shamrock that is cast in 10K gold.